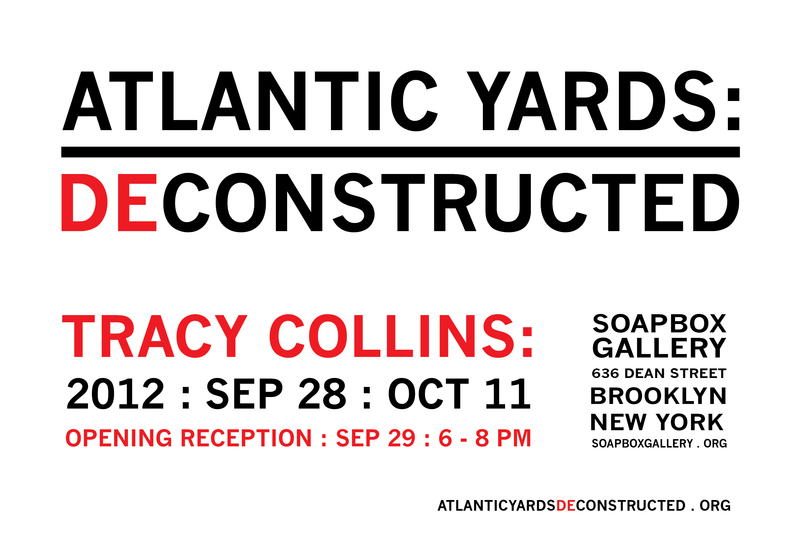 September 28, 2012, the opening day of the Barclays Center Arena of the Atlantic Yards project, an exhibit of my Atlantic Yards work opens at the Soapbox Gallery. 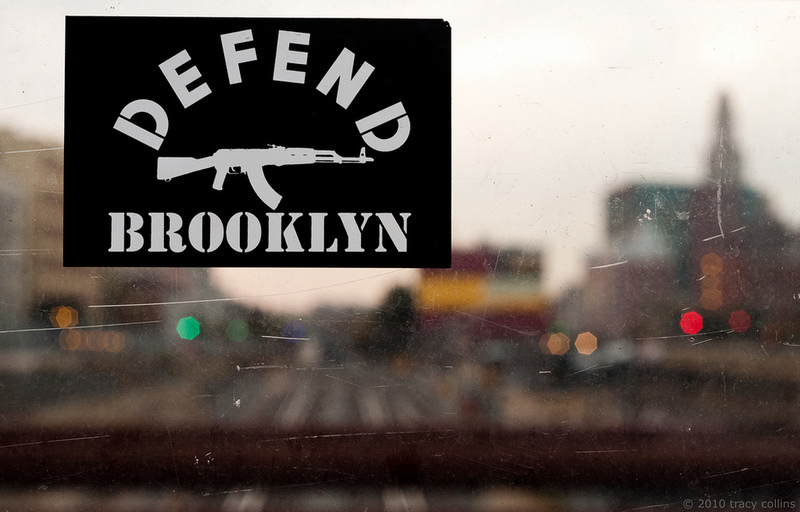 On Friday, June 3, on the opening night of the Brooklyn Film Festival, filmmakers Suki Hawley and Michael Galinsky will debut their Atlantic Yards documentary BATTLE FOR BROOKLYN in the U.S.
As a photographer living less than a block from the site of the under-construction Barclays Center Arena, I have been documenting the neighborhood from the time the project was announced at the end of 2003. 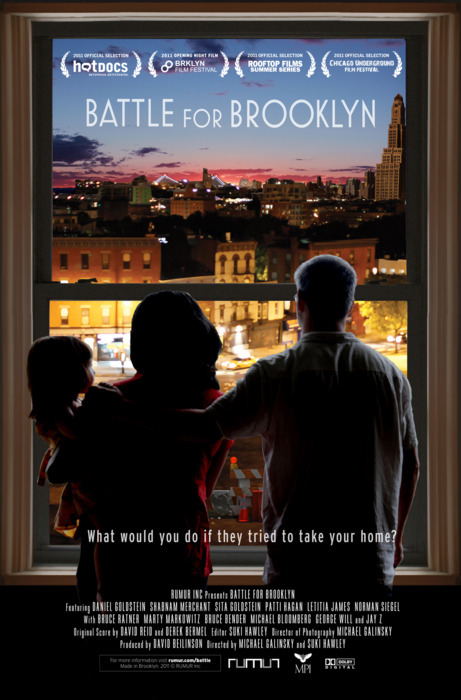 BATTLE FOR BROOKLYN is an intimate look at the very public and passionate fight waged by residents and business owners of Brooklyn’s historic Prospect Heights neighborhood facing condemnation of their property to make way for the polarizing Atlantic Yards project, a massive plan to build 16 skyscrapers and a basketball arena for the New Jersey Nets. The film focuses on graphic designer Daniel Goldstein whose apartment sits at what would be center court of the new arena. A reluctant activist, Daniel is dragged into the fight because he can’t accept that the government should use the power of Eminent Domain to take his new apartment and hand it off to a private developer, Forest City Ratner. The effort to stop the project pits him and his neighbors against Ratner and an entourage of lawyers and public relations emissaries, the g0vernment, as well as other residents who want the construction jobs, the basketball team, and the additional housing that the project might produce. Daniel and a host of Brooklynites form the group “Develop Don’t Destroy Brooklyn” to pursue alternate plans to Ratner’s proposal and to expose misconceptions about the project. One by one, residents living the footprint begin to sell their homes to the developer or move away, leaving Daniel as the last man standing in the footprint of the proposed sports arena. Along the way, he loses a fiancé, falls in love again, gets married and starts a family. The film is a thoroughly engaging look at the infuriating erosion of individual rights in the interest of corporate concerns and political maneuvering. 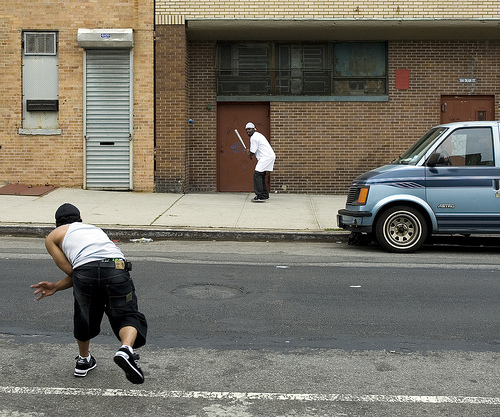 Shot over the course of eight years and compiled from almost 500 hours of footage, BATTLE FOR BROOKLYN is an epic and universal tale of one man under pressure, and how far he will go to fight for his home and what he believes in. I'm working on my After Effects chops by creating "2.5D" animation. For those who don't know, 2.5D is pseudo 3D, where 2D images are placed in 3D space to create the illusion of a true 3D scene. The scene is then animated by moving a virtual camera in the 3D space (the point of view of the viewer), or moving the 2D images in the 3D space, or both. I then isolated the pitcher, batter, street, sidewalk and building into separate layers, with each layer placed at a different distance from the camera. Next, I adjusted the relative scales of each item in each layer such that their relative sizes were correct. Finally, I had the camera move in a path in the 3D space to create the animation. After Effects (a software application from Adobe) makes this process fairly painless once one has learned how to use the program. I continue to be obsessed with and fascinated by time-lapse photography. You can see symptoms of my time-lapse madness on Vimeo and YouTube. I am particularly drawn to time lapse as a tool that can be used to document and analyze the changing situation on the ground around in and around the Atlantic Yards project site in Prospect Heights, Brooklyn. It's also just cool (e.g. this and this). Ground was officially broken on March 11, 2010 for the Barclays Center Arena, the portion of the project that developer Forest City Ratner seems most interested in building. The timetable for the remainder of the project (16 skyscrapers over the remainder of the 22-acre site) is a moving target, subject to the developer's economic situation. The developer continues to state it will take 10 years to complete the entire project, but there are more than a few skeptics that believe it will take much longer, possibly 25+ years. The time-lapse below was shot the afternoon of September 16, 2010, hours before at least 2 tornados touched down in Brooklyn and Queens. I planned to shoot that day as the weather forecast called for thunderstorms to roll in and I hoped that it would bring dramatic clouds with it. The clouds weren't that spectacular for this shoot, but I ironically was able to capture them cutting down one of the last trees on the arena site. Maybe they could have saved themselves some trouble and let the tornados take care of it. This was shot from the north side of Atlantic Avenue, facing south. Flatbush Avenue is on the right. One of the two last buildings on the arena site, 636 Pacific Street, is visible in the background to the left.